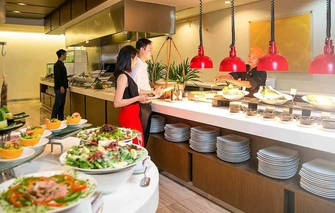 International buffet restaurant, The Square serves the best of Asian and Western cuisine. 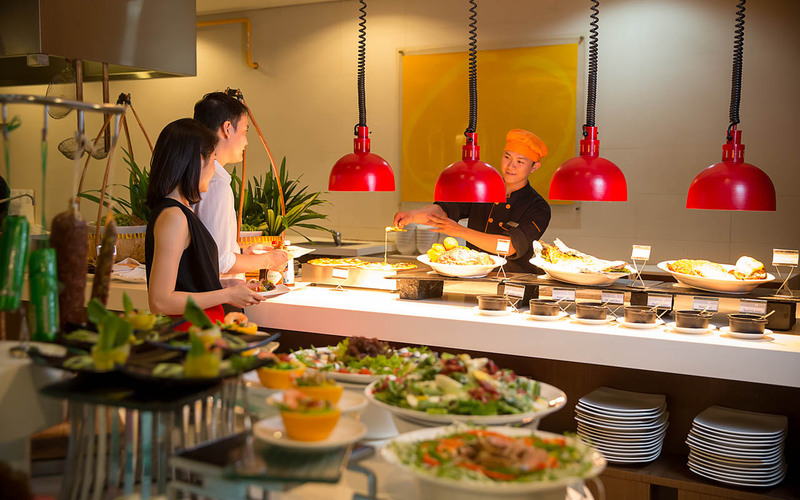 Our open kitchen will stimulate your palate with flavours and with healthy, balanced cooking. 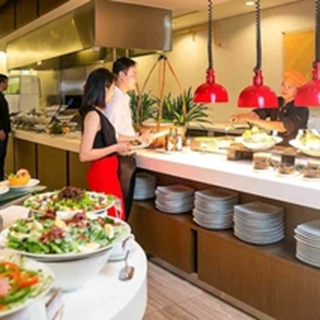 Every day for Dinner, enjoy the best seafood buffet in town. Food is lovely, showing attentiveness in each dish, which is rare for buffet. Salad and dessert selection was one of the best. Service is friendly and table is cleared constantly. It's a bit dark for table at the window. It would be lovely to add: grounded roasted peanuts for the ice cream; crouton, bacon bits for the soup. Roasted duck is nice but could be cut in smaller pieces, a whole drumstick would leave no room for other dishes. Worth with accor plus member rate. Dine 4 Pay 2 coupon not honoured faithfully at this restaurant. Watch out! i like the service here, staff are very friendly & enthusiastic. I am disappointed with the attitude of the reception girl at The Square who is so unfriendly and did not give proper instructions to customer. She even looks down on customer and I hardly see a smile on her face. I booked a table on app and received a confirmation but when I got the restaurant, a taff say “ No table booked by name Vinh Xuan Nguyen” I disapointed. I  have to explain very long to be arranged tables, but not by me. STAFF DOES NOT OPEN YOUR CAR TO HOTEL. FORGOTTEN CHILDREN WITH 2 EM BATS UNDER 3 YEARS (19:35 PM - 30-05-2018). DO NOT GUIDE TO CAR 3. Food, service is very good. Món ăn ngon nhưng ít quá nên ko có nhiều sự lựa chọn cho khách. Kiểm tra kỹ trước khi chế biến hải sản. Hôm qua chúng tôi đã ăn phải món cá bốc mùi do bị hư. Nhà hàng đẹp, thức ăn ngon nhưng ít thay đổi nên nếu ai muốn quay lại ăn thì hơi khó. Tôi ăn tại đây 2 năm nay rồi, vẫn nhiêu đó món. Nv phục vụ nói thẳng là làm khách hàng bực mình vì mấy cái vụ thẻ member Accor Plus, Họ đưa vouche thì cứ tính theo vouche, tại sao lại yêu cầu khách phải thế này, thế khác. Nản!